A female singer songwriter from Kanagawa Prefecture. Mesmerizes listeners with beautiful floating vocals accompanied by sound that envelops them. Began learning the piano and classical ballet at the age of four. After dropping out of college, began studying singing in New York and started writing her own songs. At the age of 23, released the self-written, self-produced CD “Hikari wo Jiyuu wo” and began singing to her own accompaniment in Tokyo. At the age of 27, met ex. nhmbase member Noboru Irii through YOMOYA’s Nagakura Ryosuke and began recording demos with them. 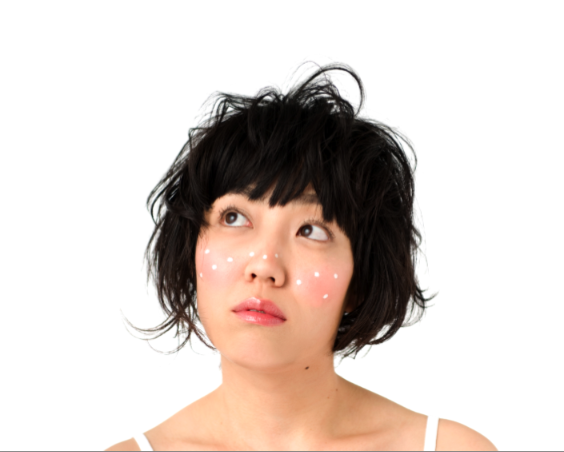 In winter of 2011, released her first national distribution EP “about me” under production by folk squat’s Taiji Hiramatsu. In June 2012, released her 1st full-length album, “it’s you”, under tag with Hiramatsu again.